Most people have an old pair of jeans laying around that is no longer suitable for wearing, or in my case about half a dozen pairs. 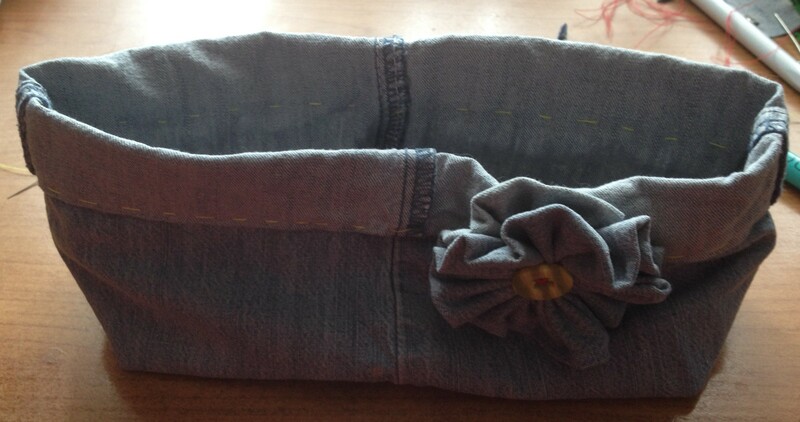 This little storage bowl, suitable for putting all sorts of bits and bobs in, is easy to make, you don’t need any special sewing skills or a sewing machine. 1. Cut the bottom off one leg of the jeans, it should be 12-15cm high and works best when the amount of elastic in the jeans is low. 2. 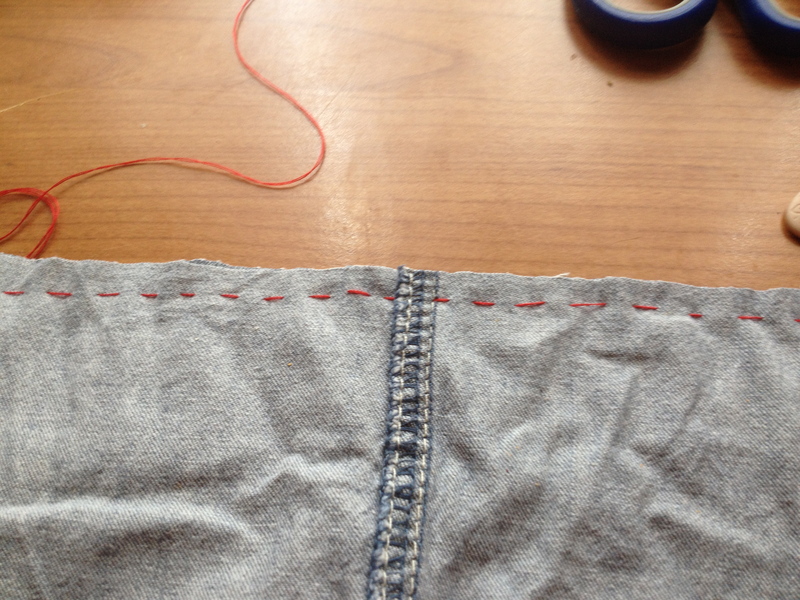 Sew a running stitch along the raw edges, so that you join them together to make a pocket. 3. 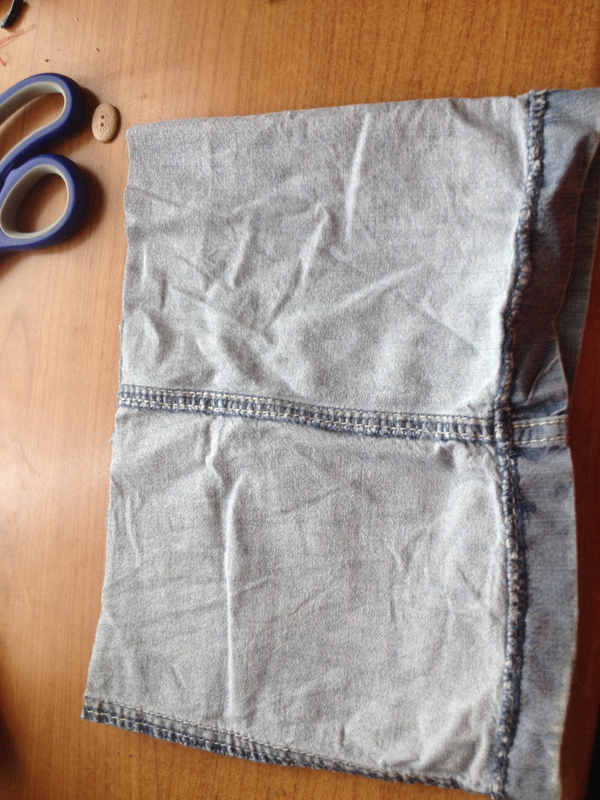 Fold the corners of pocket flat in the other direction and sew across the the jeans on both sides, try to make sure that your corners are approximately the same size. 4. 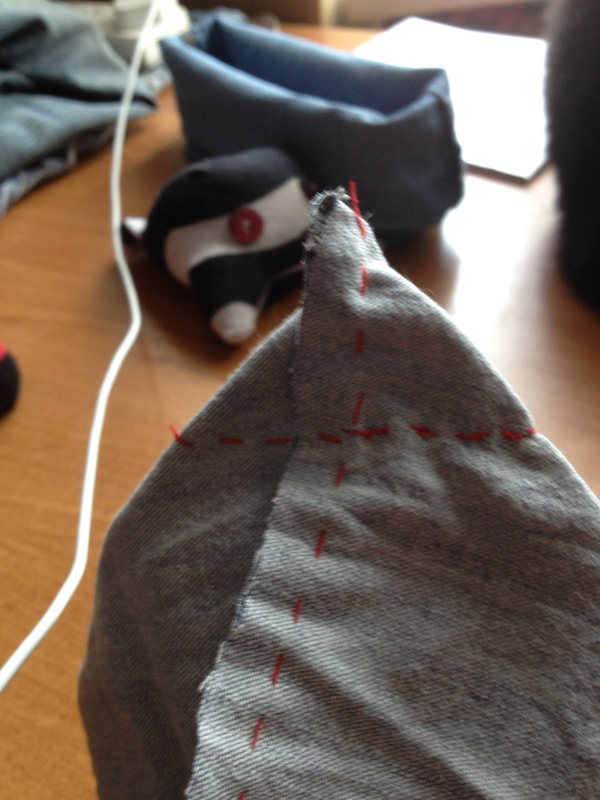 Turn it the correct way out, fold down the existing hem and then decorate. 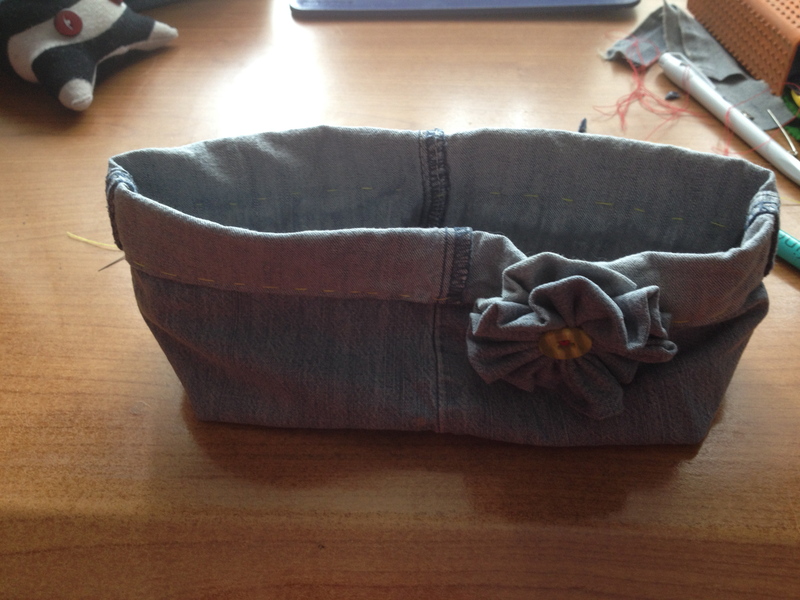 In the case of this bowl, I added a fabric flower that you can see the instructions to make here. Crooked Halo Craft and Design is where you can see the different Services I provide, including: Jewellery Parties and Workshops.